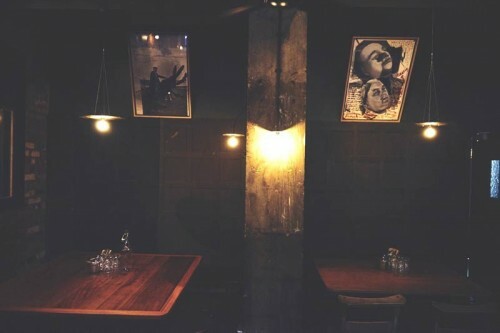 The Big Mamma group in Paris have had huge hits with their trattorias and now they're in London with Gloria, in a big space in Shoreditch. 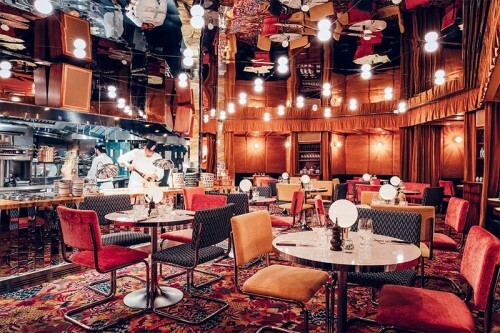 Expect Italian food in a classic looking space (as well as a hidden 80s-set dining room) and a buzzy vibe. 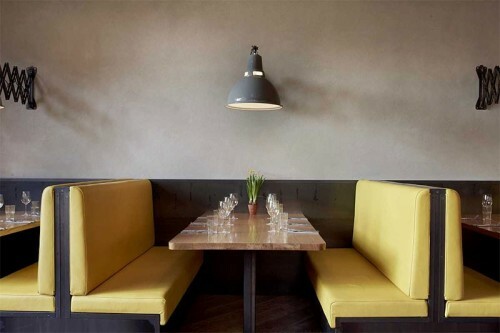 Small plates, sharers and snacks are on the menu here, at this venture from the team who ran Michelin-starred Hackney restaurant Ellory. 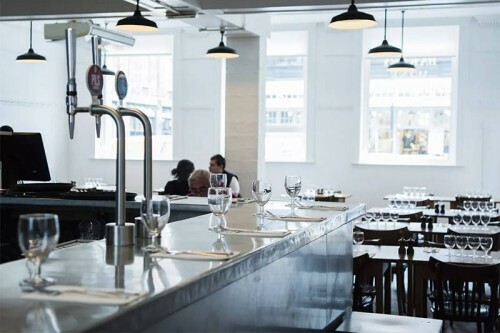 Now they're Shoreditch-based with a more laid back venture that features their own Vermouth and wines. The team behind The Clove Club are behind this restaurant, helping American chef Chase Lovecky open his first solo venture. 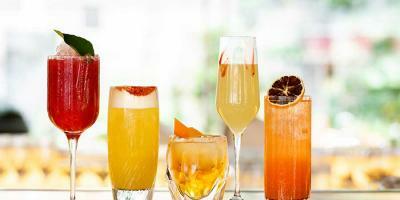 American cuisine is at the heart of the menu - but with a specifically modern take. 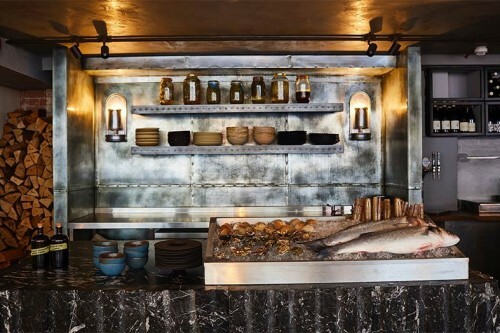 Jackson Boxer and his chef and partner Andrew Clarke have a fire and ice focus for their new Shoreditch restaurant with an ice bar for raw fish and shellfish and open hearth cooking for meat and vegetables. Former Kitty Fisher's chef Tomos Parry's solo venture features a mix of cooking on fire, Welsh and Basque cuisine, and a big focus on wine. It became an instant hit - and it doesn't hurt that the dining room is quite lovely too. 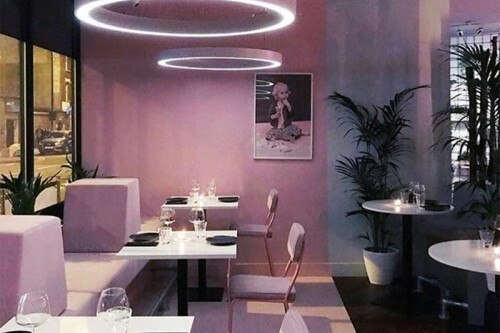 Forget your greasy local frier - Clerkenwell’s fish and chip restaurant United Chip’s all about the millennial pink, Bangkok prawn burgers and complimentary aioli. But there's fisn and chips too - with traditional or Belgian fries. 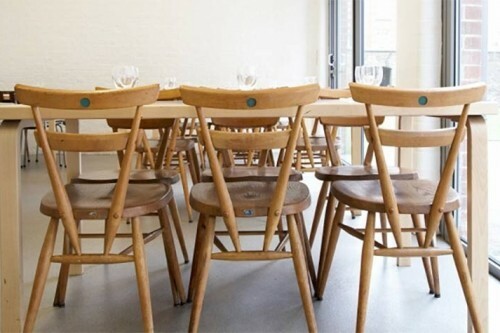 This is the original Rochelle Canteen, from chef Margot Henderson and business partner Melanie Arnold, and has been held up by almost every chef in London as one of the best places to eat at in town. Expect classic, seasonal cooking from Henderson. It's a little on the hard side to find - but well worth it. 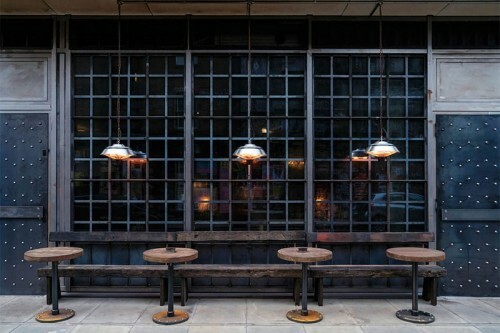 This is the Shoreditch outpost of the Blacklock group - which has become famous for its piles of chops, cooked over fire. It's also great value for money - and that includes the cocktails. 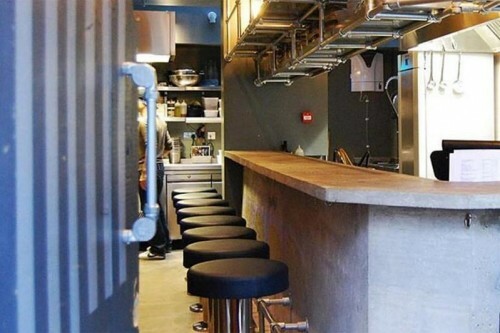 This East London branch also has a large bar area. 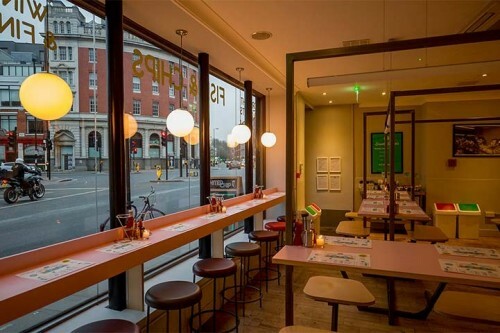 The team behind Foleys and the Rum Kitchen have come to Old Street with a pretty sizeable new restaurant, serving Italian-via-LA cuisine from 7am to midnight all week long. 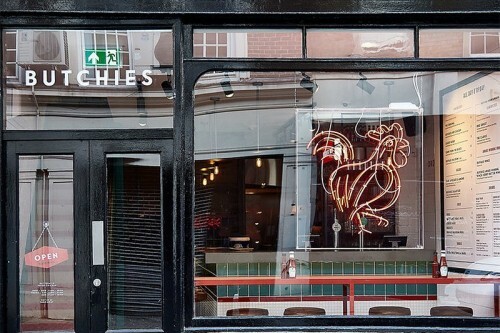 Award-winning chicken street food trader made its move from street food to bricks and mortar with the opening of this, their first place, in Shoreditch. Their fried buttermilk chicken sandwiches are the bomb. We're not sure which bit of Rascals to tell you about first. There's the waterproof room, the bottomless pizza, or the Wheel of Misfortune with wooden stocks for the "losers"... plus creative cocktails, a mad menu and more for all your tableside flamb-ing needs. The first Smoking Goat in Soho, and the follow up Kiln have both been huge hits so it was only to be expected that the larger Shoreditch branch would do well to. Whether you're sitting up at the counter or enjoying a group meal with friends, enjoy a range of Thai dishes that change depending on produce and a lot of Thai BBQ too. 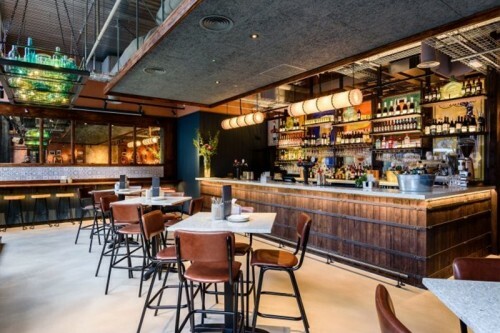 This is the latest Camino, offering up a mix of Spanish tapas, a bar and more. Part shop/part restaurant, Shoreditch’s Burro e Salvia makes incredible pasta on site every day. You can take it away to cook yourself at home or take a seat up at the pasta counter and let them do the work for you. 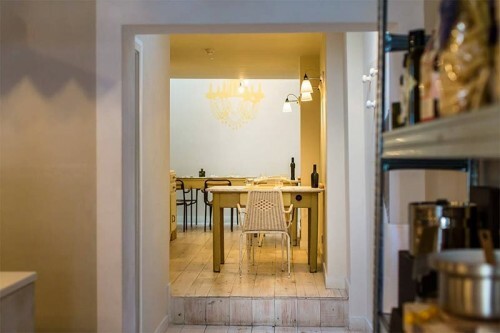 There’s a small menu of fresh pasta and antipasti that changes regularly, and if you fancy learning the secrets of great pasta making for yourself, they also run regular workshops. 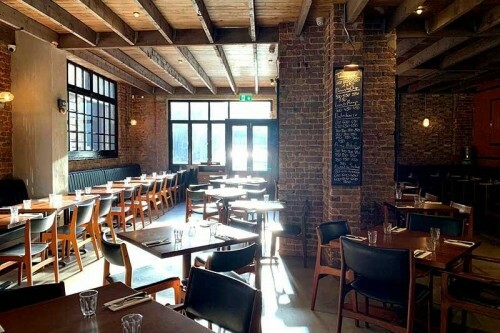 The Shoreditch outpost of the St John empire is almost like a finishing school for London chefs. This restaurant is the beating heart of seasonal British cooking in London and has spread that influence all over the UK. 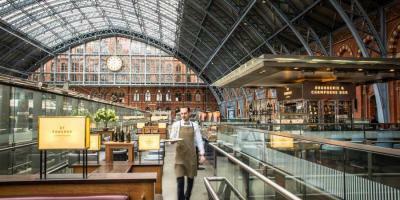 A cracking place for a weekend breakfast too. 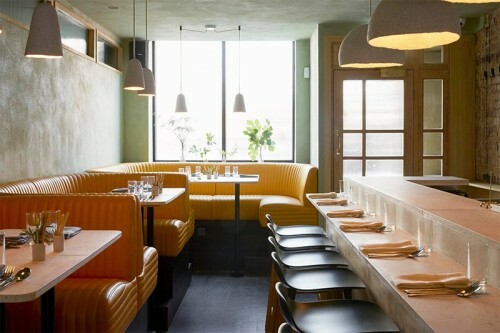 Marcus Samuelsson's New York restaurant is hugely popular, and it's arrived at the Curtain Hotel in Shoreditch. The legendary yardbird fried chicken and Helga's meatballs are making it over here too. 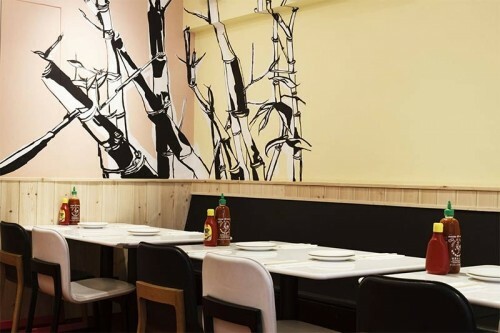 From their simple start on a Maltby Street stall to their permanent digs on Bethnal Green Road, Lahpet are introducing Londoners to the delights of Burmese food. 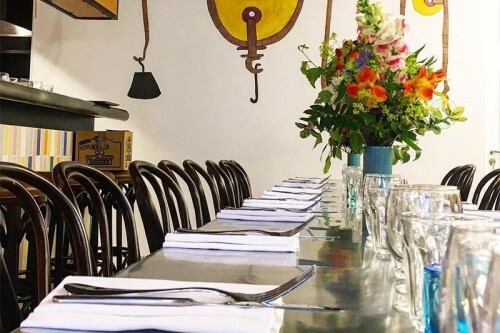 This Italian restaurant is from chef Jonathan Lawson, who has worked with Theo Randall for five years and has opened his own place, with cuisine described as Italian with a touch of Moorish and Spanish. This is the latest from Stevie Parle (Dock Kitchen and Craft) and sees him taking on the melting pot of Roman cuisine. Expect pizza, pasta and a whole lot more. They've been a fixture of Street Feast for many a year, but now Breddos have opened their first restaurant. 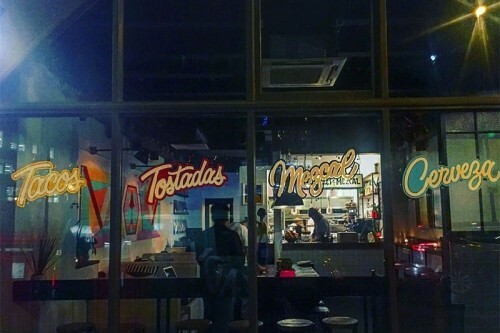 Expect tacos, tostadas, tortilla-based Mexican pizza tlayudas and more. 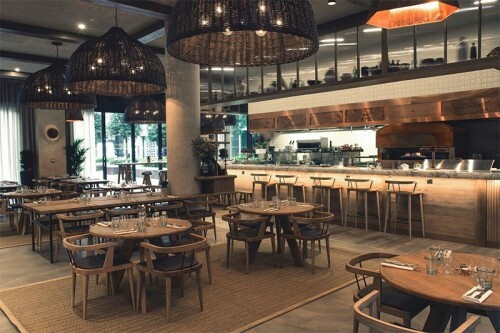 The folk behind the ever-popular Michelin-starred Clove Club are opening their second restaurant. 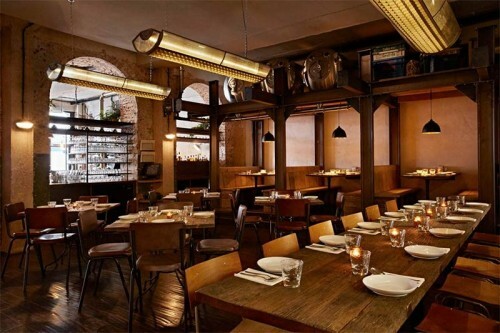 This time it's an Italian restaurant with British produce in Clerkenwell. Given their popularity as a street food vendor - you could hardly miss the queues for their brisket buns - it was only a matter of time before David Carter moved the enterprise into a permanent spot. And this smoky, steampunk room in Shoreditch revealed that there was real innovation and creativity behind the macho 'cue look. While their brisket and pickled chilli bun is never coming off the menu, there are also some gorgeous dishes for vegetarians. 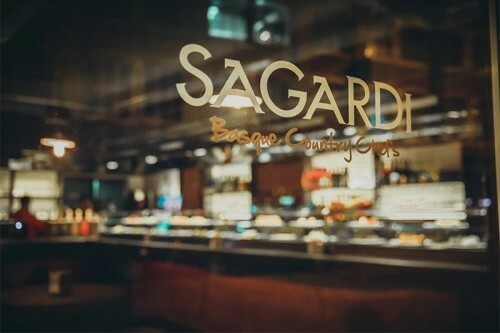 Grupo Sagardi was founded years ago in Barcelona. 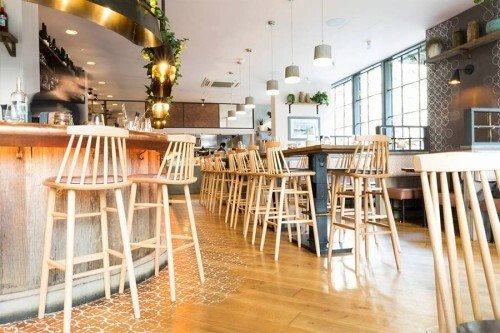 This is their first UK restaurant and it's all about showcasing the best produce from Basque farms and its coast, all flown in daily from San Sebastian. 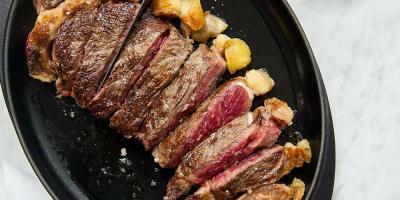 The steak is a big deal. 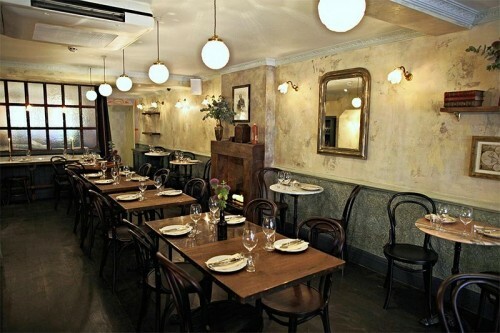 The original Blanchette was a big hit in Soho, serving up small plates of French cooking. 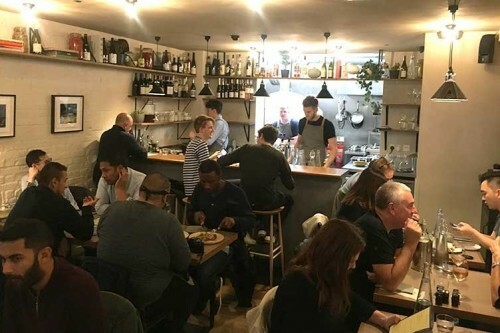 This restaurant has a similar small plates approach as the original, but the menu has expanded to include more influences from South France and North Africa too. This is and all-day French bistro from the people behind bars Happiness Forgets and Original Sin, Alastair Burgess and Chris Smith. 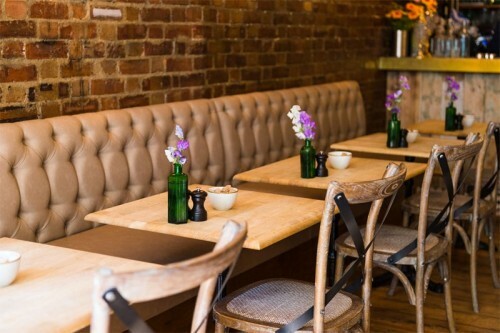 It's aiming to bring the feel of a "cosy French bistro" to Hoxton and to make it affordable too. 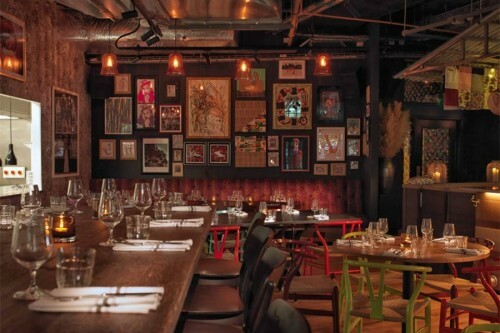 A protégé of Stevie Parle, Alex Jackson, brings a taste of the Mediterranean to Old Street. 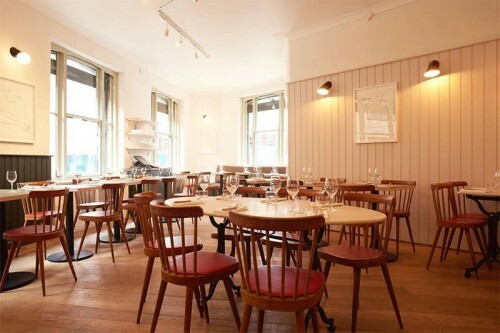 Sardine has opened in an annexe next to the Parasol art gallery. 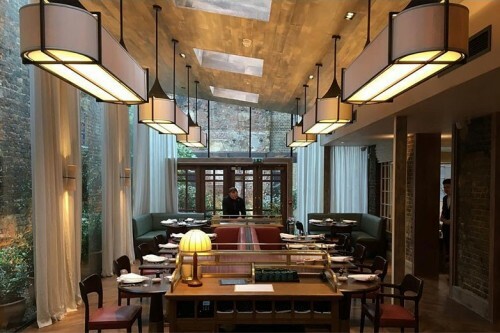 Anglo has been set up by Mark Jarvis, ex head chef of the Bingham in Richmond. The aim for Anglo is to create accessible modern British fine dining. 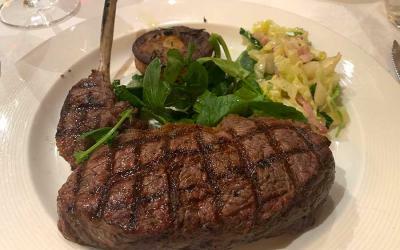 That's an a la carte meal at lunchtime and a single set menu in the evening. 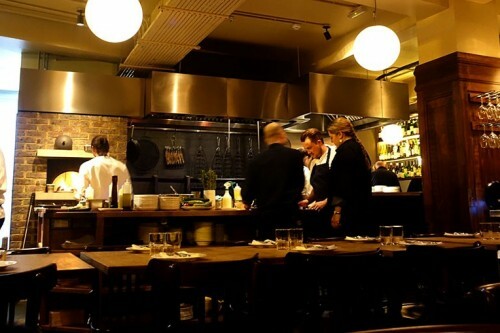 Expect inventive food with a British twist.